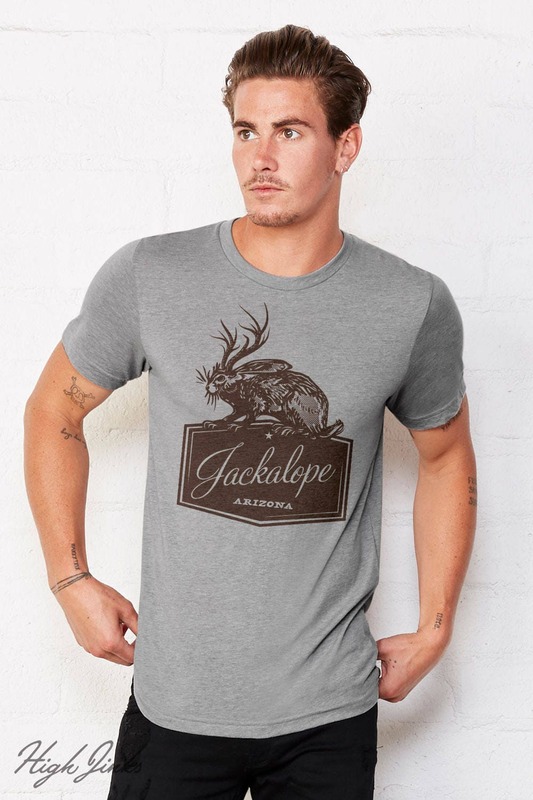 The animal, the myth, the legendary Jackalope. 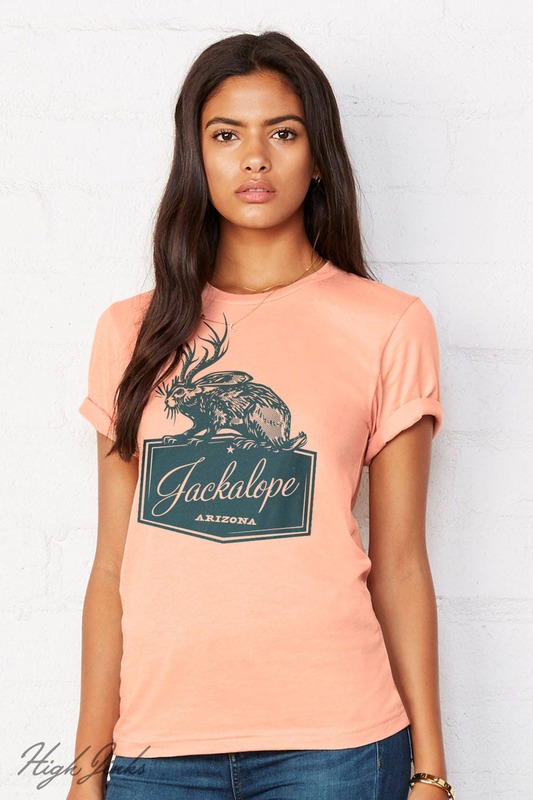 Newly released as part of the "Arizona Series" by Illustrator Jon Arvizu of Trapdoor Studio. Show some Local pride and mid century style with this 1-color design. Printed to order with water based ink on a super soft cvc blend t. Made with love, to soften with time.